If you’re looking for an effective and relatively perilous way to spruce your kitchen up and rejuvenate it, then painting your kitchen doors and drawer fronts is a great way to do so. You’ll often find that a kitchen looks tired and dated kitchen because the cupboard drawers and doors are worn down and marred. However, you can defeat this without having to fork out for entirely new kitchen, and you’ll be making the world a little greener by reusing your existing kitchen instead of replacing it. How long does repainting kitchen cupboard doors take? You should give yourself three to four days when it comes to repainting your kitchen cupboard doors. Whilst this may seem excessive, it will allow time for each layer of primer and paint to dry. Remember, three to four days of drying time is minimal when you compare this to the disruption of having an entire kitchen replaced! You can complete each stage in a few hours across each day. One day should be dedicated to cleaning and preparing the cupboard doors. The next day should be spent priming the kitchen doors, and the following for the undercoat. Remember, for the topcoat, oil-based paints require a day per coat to dry. After the final coat, you should wait at least a day for it to become dry enough to touch. What type of paint should I choose? First things first, you need to decide on a paint. As much as we loved a gloss finish, it is important to remember that an even finish requires a skill not many DIYers possess. Gloss paint is incredibly unforgiving when it comes to mistakes, as it will highlight numerous imperfections. Sticking with flat, matte and eggshell paints means that you can hide any marks and flaws. Flat and matte paints are particularly popular because they do not reflect light, making for the perfect cover up. Remember, the colour you choose is crucial – colour can change the way a room looks! Neutral shades also have the ability to make a small space look much bigger. 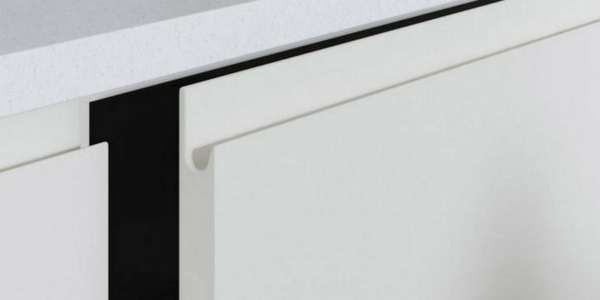 Removing a kitchen cupboard door is really simple – you can find out how to do it here. However, if you have the option to paint the doors whilst they’re attached then you might find this saves you some time. You’ll be able to paint both sides, the top and bottom all at once, avoiding the headache of re-hanging the doors properly. You should always remove the handles and knobs before you repaint your cupboard doors – if you ever decide to replace the door handles and find that the paint doesn’t cover the entire surface from the old door handles. Wash down and remove all the dirt from the doors, and make sure sure you get into all nooks and crannies. This is especially important for any panelling or detail. This can be done with sugar soap or multi‑purpose cleaner or sugar soap, as it will get rid of grease and prepares the surface for the primer. Allow enough time for the doors to dry, and then rub down wooden and painted units with fine sandpaper and remove the dust. If you have laminate doors then you don’t need to do this. Before adding any paint you must prime the doors. You can use a wood primer or multi-purpose primer/undercoat for wooden doors. 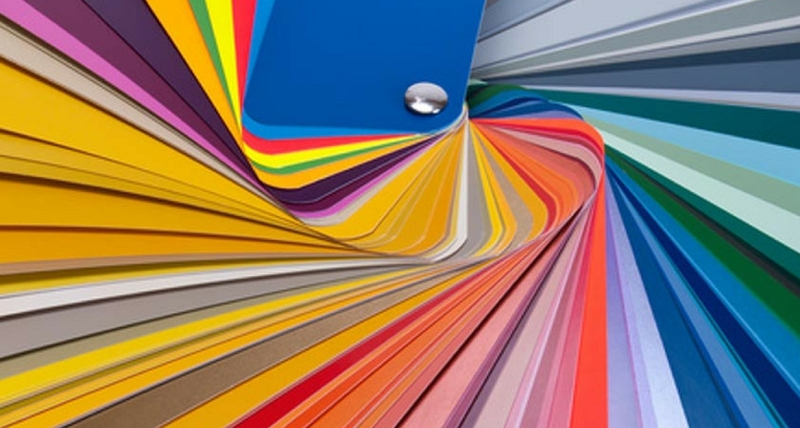 For laminates or spray-coated finishes, you should use a melamine primer. For a dark colour or very shiny surface, you should apply two coats. Allow to time to dry. Once the primer has dried you need to add the undercoat of paint. You’ll probably find that one coat will suffice, but if it looks streaky then add a second. After allowing time to dry, add the top coats. You may find you get an even finish with two coats, but in some instances it will take extra coats for that even finish. Be sure to apply thin layers of paint – copious amounts will cause coagulation and dripping. After the other coats of paint have dried it’s time for the finishing coat. The finale layer. This is the important layer, so take your time. It is really important that you don’t overload the brush. Make sure you use the paint sparingly – you don’t want any drops. Even strokes wil give you that desired finish. Leave the doors to dry. After leaving enough time for the doors to try, it is time to put the kitchen cupboard door handles back on. New handles and knobs is a great way to give a kitchen a little pizzaz. Remember, the design you choose will be dictated by the position of the existing fixing holes in the door – you need to use these holes or cover them up. If you’ve been inspired to give your kitchen a facelift, why not contact one of our expert team for some help and advice? We’re always ready and eager to help you in anyway we can.